Flexible stays help prevent rolling. 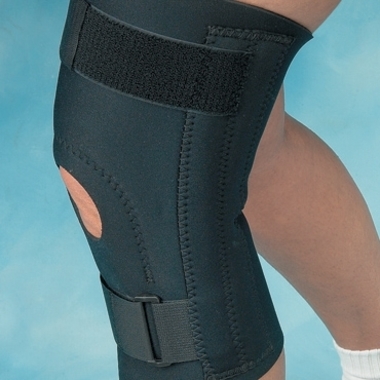 Indicated for patellar subluxation, tendinitis, chondromalacia and patellar dislocations. 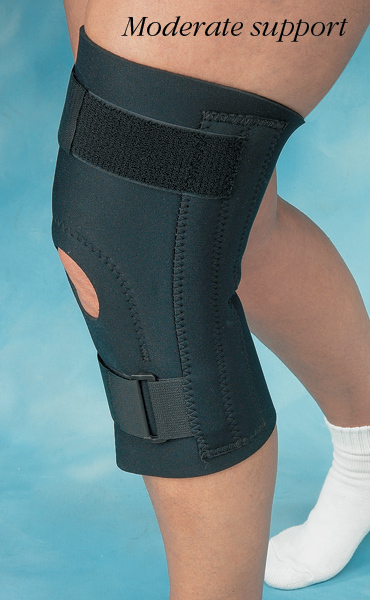 The Comfortprene™ Patellar Knee Support is made of 1/8" (3.2mm) neoprene with a nylon liner. Patellar opening has a built-in, superior felt buttress pad. Four built-in, flexible stays, two medial and two lateral, prevent rolling. Opposing D-ring straps above and below the patellar opening provide adjustable fit. Support measures 12-1/2" (32cm) long.